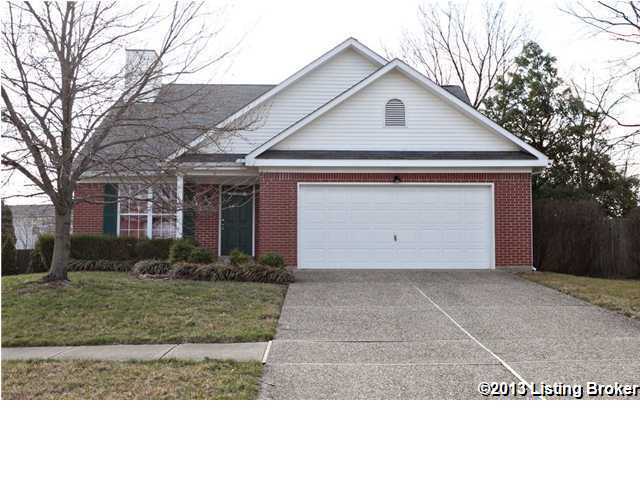 Adorable....Well maintained 3 Bedroom 2 Bath 1.5 story home located in Oakhurst. Foyer entry has wood flooring, opens into the spacious living area with vaulted ceilings, creek stone gas fireplace with mantel, and stylish carpet.Generous eat-in kitchen has upgraded pendant lighting fixtures, spacious countertops, plenty of oak cabinets, appliances, pantry, and sliding doors that lead out to patio area. Master Bedroom is very nice size will fit most furniture, it is carpeted and has double closets. Also there ia a master bath. Additionally there are 2 more bedrooms and a full bath which are good size. 1st floor laundry. 2 car attached garage. Nice landscaping with mature trees and bushes. 2-10 home warranty for your comfort. HOA $135 annually. Show it today! 11706 Halifax Dr, Louisville KY 40245 is a Home, with 3 bedrooms which is recently sold, it has 1,950 sqft, 0 sized lot, and 2 Car Garage,Attached parking. A comparable Other, has bedrooms and 0 baths, it was built in and is located at and for sale by its owner at $ 0. This home is located in the city of , in zip code , this County Other, it is in the Subdivision, and Woodmont are nearby neighborhoods.